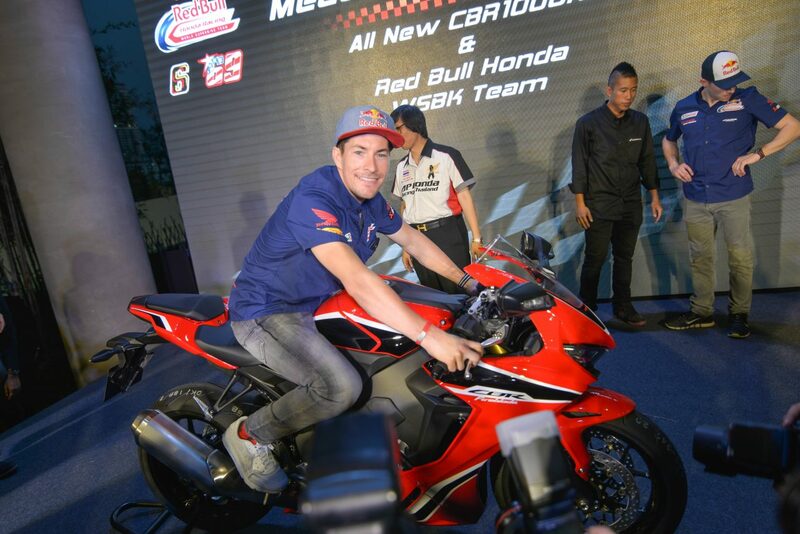 I’m happy to be in Thailand again and it’s great to see the enthusiasm for the new Fireblade and motorcycle racing in general! Last year it was my first time racing here and I really enjoyed it: it’s nice to be in a country with so many motorcycles and scooters everywhere. It’s a good track and one with a great crowd that’s hungry for motorcycle racing and the sport; it’s also clear that the level of the local riders is improving year after year. All of this makes for a great event, so obviously after a slow start to the season like the one we had in Phillip Island our goal is to be more competitive there, the track should suit the bike better so we’ll see what happens! It was a nice surprise to see such great support from the fans at today’s event in Bangkok; it was packed full of fans and well organised! I’m looking forward to racing in Thailand as I have never been to Chang before so it’s a completely new track for me. I watched some videos to get an understanding of the circuit and I am usually a quick learner, so there shouldn’t be a problem! I hope we will be able to make a step forward in terms of performance compared to Australia and I’m pretty sure the layout of the track will suit the bike better. There’s plenty new to try on the bike so we will just have to wait and see how we’ll perform. We’re looking forward to starting the second round of the season in Thailand. Phillip Island was not too kind to us, so we worked hard over the past week or so to be ready for the new challenge and we will have new parts available for this round, so we can’t wait to get started. We’re sure we will be more competitive at the Chang International Circuit: last year we did quite well there and I think that despite the differences between the two models, the track will suit the new Fireblade, too.